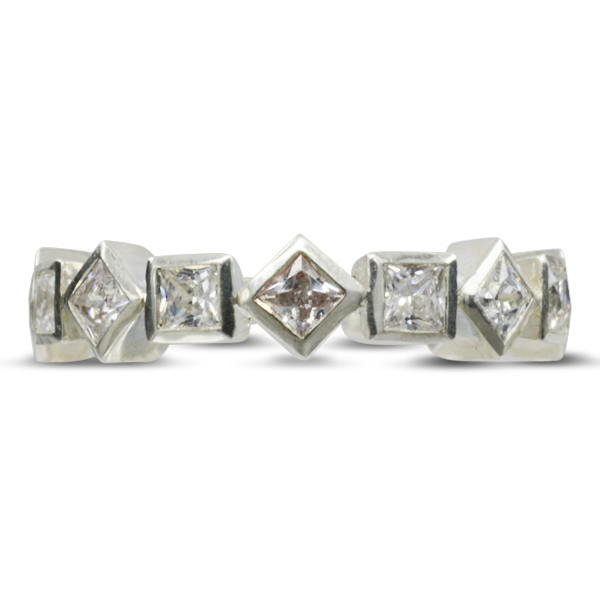 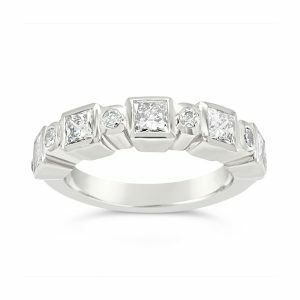 An alternating rotating square diamond eternity ring in platinum. 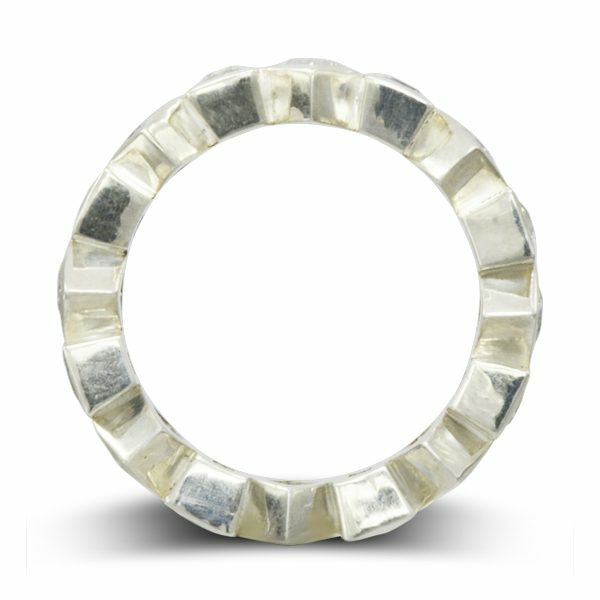 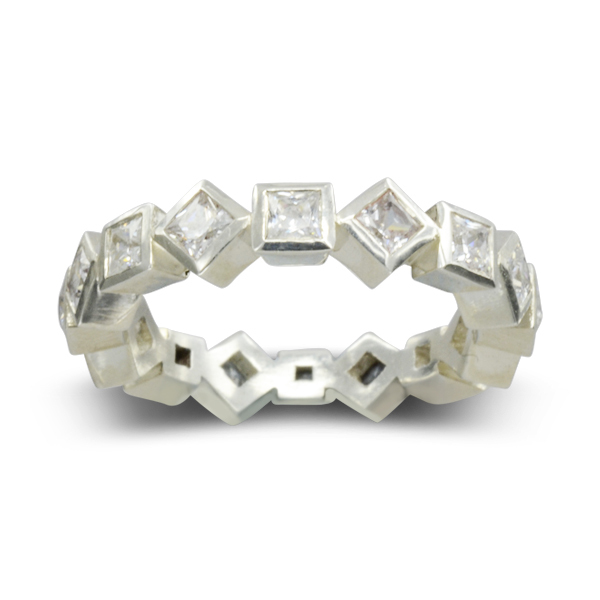 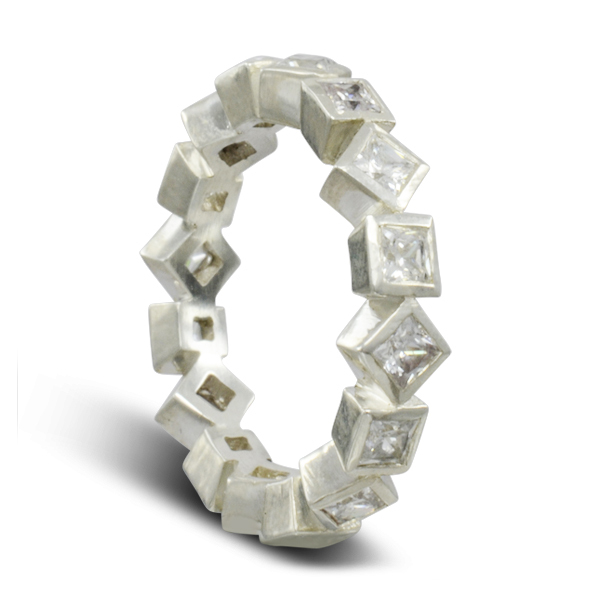 This unusual fun contemporary eternity ring is set with sixteen 3mm square princess cut diamonds with an approximate carat weight of 2.5cts. 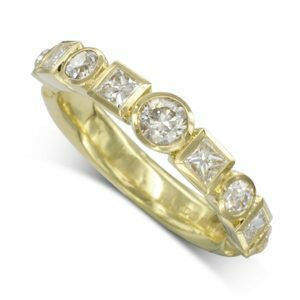 It is also available as a half eternity ring (1ct with approximately 7 stones) or in 18ct yellow or rose gold. 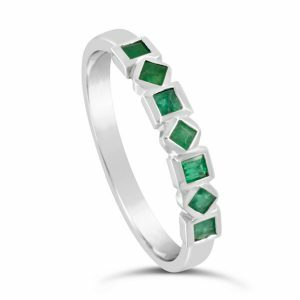 You could also add coloured gemstones.